Conclave is set sometime in the near future after the Pope, that bears more than a passing resemblance to the liberal incumbent, dies and 118 cardinals under eighty from all over the globe gather in the Vatican to elect a successor. They are sequestered in a guesthouse from which they daily assemble to travel to the Sistine Chapel where they, without debate, cast their votes in a chalice. Each time they fail to reach the necessary two-thirds majority, the ballot papers are burned, and their black smoke signals this news to the watchers in St. Peter’s Square. When a pope is elected, the papers are burned with a chemical that produces white smoke. 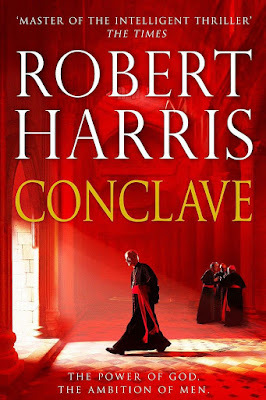 The foregoing is a bald summary of what transpires in Conclave, and if you think that procedure would not contain the elements of drama, you would be wrong, at least in Harris’ fictional rendering of such a momentous occasion. When the cardinals return to their hostel for meals they vigorously debate among themselves. We view the politicking and the Sistine Chapel ritual through Harris’ sympathetic portrait of Cardinal Jacopo Lomeli, the 75-year-old dean of the College of Cardinals, who is in charge of the election. He supports the liberal Cardinal Bellini, who is well-favoured by other cardinals. Initially, his prime rival is Cardinal Tedesco, an outspoken traditionalist who deplores the late-20th-century changes in the church since the Second Vatican Council. He has little respect for other faiths and if elected would not tolerate different views within the church. Tedesco, though, never tempers his views to win votes, willing to indulge in an intemperate outburst that could scuttle his chances of being elected. 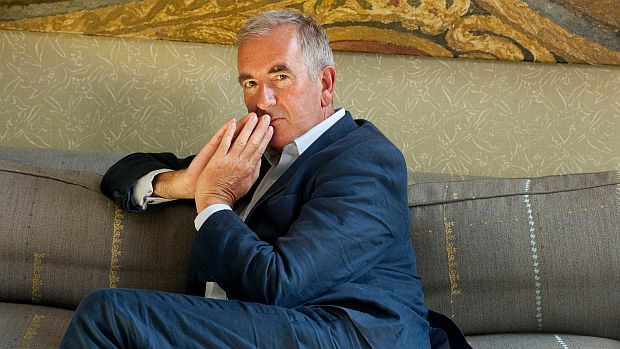 Other candidates include Tremblay, the ambitious cardinal from Quebec, the chamberlain of Vatican finances and Adeyemi, the African with conservative views on the role of women and homosexuality. Into this gathering arrives the completely unknown, Vincent Benítez, a Filipino who has become cardinal-archbishop of Baghdad, a cardinal in pectore, created by the Pope in secret in order to protect his identity. (Theoretically, this can be done but rarely occurs.) The stage is set for a showdown. Some of the candidates openly joust for power, lobbying at meals and in their rooms and have supporters who canvass on their behalf while others, regarding it as unseemly, retreat from this campaigning. Since in reality, the proceedings are maintained with strict secrecy, Harris, to supplement his research indicated in his notes, has to rely on his imagination. But I expect that most readers will share his view that what he imagines about how power is sought is likely close to reality. Throughout the course of the novel, the leading candidates’ frailties and shortcomings are exposed increasing the likelihood that a “compromise candidate” will be chosen. As Conclave races toward its conclusion, Harris knows how to build suspense; some readers may feel that he telegraphs the guarded secrets of one of the candidates, but there is no denying that he has written a novel that is difficult to put down, even by his standards. I do not say that lightly because publishers often quote blurbs that say precisely that. 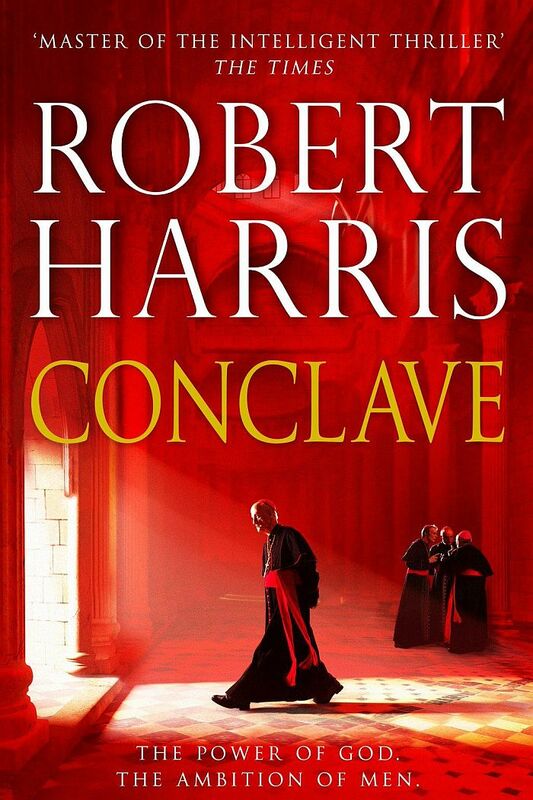 Conclave may not be a great work of art – it lacks complexity, layering and it will not likely challenge the reader – but Harris’ subject – the exercise of power – is grippingly on display here. He also knows how to tell a riveting, highly entertaining story. Thanks for the information about electioneering at Vatican Robert..